Arata Hatanaka Design Atelier (ADA) is a registered Building Design and Interior Design studio based in North Vancouver, B.C. Canada. With over 20 years of local experience, we deliver personalized design services for custom homes and renovations. We pride ourselves on being humble and approachable with the rigorousness of our character being expressed through the thoroughness of our design work. Check out our portfolio below and you will see the uniqueness of each space, which has designed through a customer-specific, people-first approach. Design is innate to Arata. Since he was a child, Arata always enjoyed creating form by folding, poking, tearing or twisting. Every construction site in his neighborhood growing up was his playground and he was eager to understand household repairs to learn how things work and how they are made. It was a natural path for him to pursue a career in the design industry and in 1996 he graduated from the Japan Design Institute in Sendai, Miyagi and relocated to British Colombia shortly thereafter. Arata is constantly striving to remain broad-visioned with each project he takes on and he enjoys the challenge of optimizing spaces and structures to refocus on objects & subjects that have been overlooked or forgotten. Matthew T. Hansen Architect is a registered firm established in 1996 by its principle Matt Hansen Architect AIBC. Since that time, it has operated as a sole proprietorship, giving personal attention to every phase of the projects it undertakes. Matt graduated from the University of Idaho in 1989 earning a Bachelor degree in Architecture. His internship in Vancouver was under the careful guidance of Architect Loy Leyland, and Matt became registered to practice architecture in 1995. Over the last 20 years, the firm has specialized in single-family residential design. Most projects undertaken are situated on Vancouver’s North Shore, and the design emphasis is practical, functional architecture. The firm as been honoured by both the District and City of North Vancouver with Design Awards of Excellence for ‘exceptional architecture’. Matt has spent most of his life on the North Shore, growing up in West Vancouver. Happily married for 25 years, he is an active father of two adult children. He has been a member of various community panels and committees over the years with a keen interest in the future development of our community. Matthew T. Hansen Architect has developed a strong reputation for providing excellence in service and client satisfaction. Please call Matt to discuss your architectural needs or to simply determine the feasibility of your project. Boutique Construction Company. High Quality Custom Design & Build Professional & Highly Experienced Builders You Dream It, We Build It. We are master builders based on Bowen Island, dedicated to working with homeowners with a vision of creating unique architectural homes that are inspired by our surrounding landscapes. With over 20 years of experience, we bring our best to every project we work on. We work closely with architects, designers and homeowners every step of the way towards a mutual goal of producing an amazing home that you and your family will enjoy for years to come. Sustainability: White Hart Homes is passionate about building amazing designs and providing options for sustainability. We have years of experience building both LEED and BUILT GREEN certified homes. Many of these sustainable building practices are common sense, and if you have the know-how and experience – like we do – there is often little to no financial cost to making the “greener” choice. At Blue Streak Homes we specialize in building custom homes, renovation and laneways all at an affordable cost. 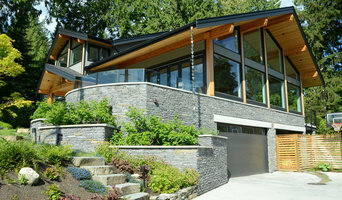 We are Vancouver’s number one budget friendly custom home builder. We are a one stop service assisting you with purchasing properties or building you your very own beautiful new custom home. We will guide you through each step with fine detail so you have a full understanding of the process. We understand building a home can be stressful but when you build with Blue Streak Homes we guarantee you an absolute peace of mind. We will work with you to ensure complete satisfaction with every step of the process. What makes us different is our in house fully qualified team of real estates, designers, architects, framers, plumbers, electricians and finishers. 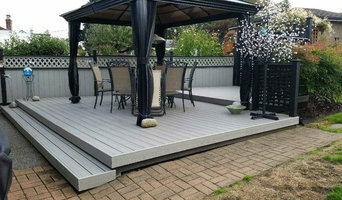 We also have wholesalers that we have dealt with for years and have made a solid relationship. The president himself has life long experience in building custom homes since he grew up with his uncles who are large scale builders. 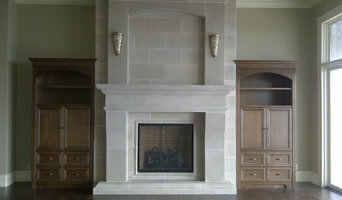 These unique combination of traditional values makes us stand out of the custom home building industry.